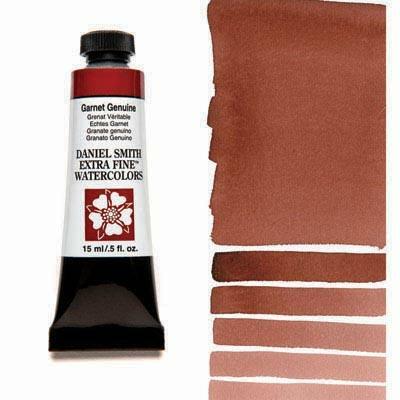 Garnet Genuine Watercolor has all the warmth and allure of the January birthstone. This PrimaTek color is a gorgeous, warm, reddish-orange, similar in hue to Quinacridone Burnt Scarlet, but with more granular texture. Try mixing it with Cerulean Blue for beautiful mauves and grays. It reticulates wonderfully and creates unexpected surprises in washes.